When it comes to learning more about companies and their business-spread, clients’ first reference is often company brochures. As it is, company bosses and reps cannot be everywhere to promote their business, in such a scenario, company brochures fill in and do the needful. 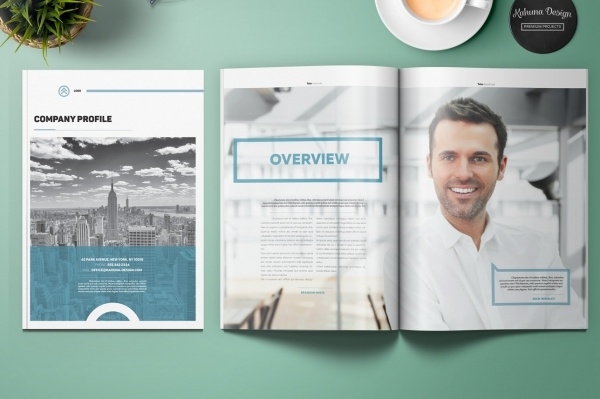 Due to this, company brochures have not just become an all-important promotional and marketing tool, it has become a pivotal company document of sorts. 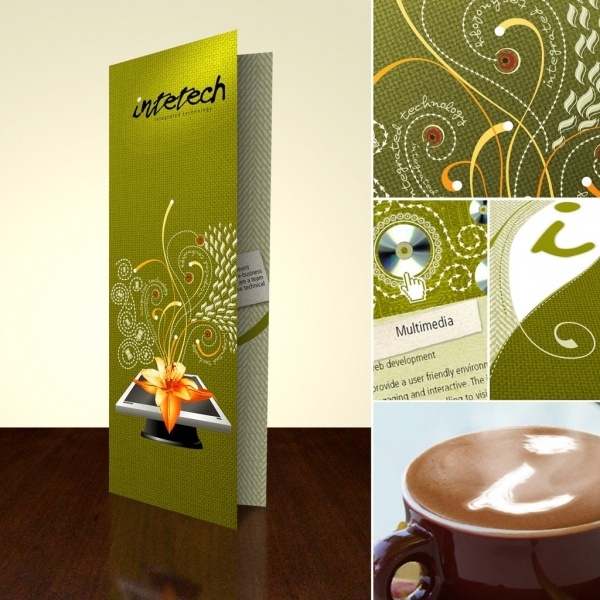 Thanks to publishing softwares, designing and printing of company brochures has become very convenient and easy. 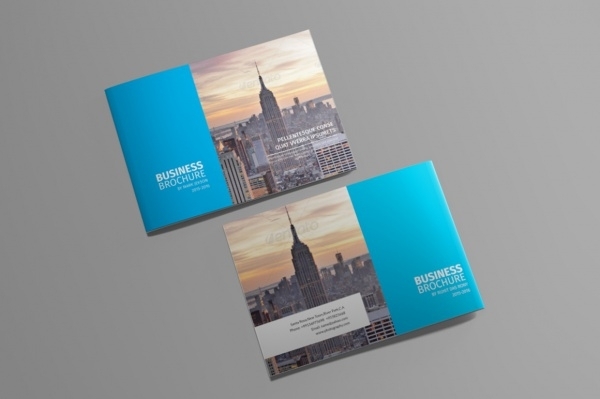 In this edition, we bring to you some of the bestselling company brochure templates which you can rework upon and create a brochure that it is fitting for your company’s business brand. 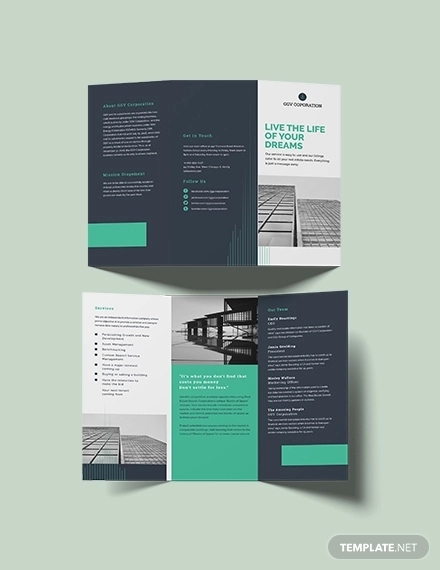 You can use this thoroughly professional-looking tri-fold brochure template to design your company’s brochure. All of the files in the template are editable and you can easily change the color-scheme as well. 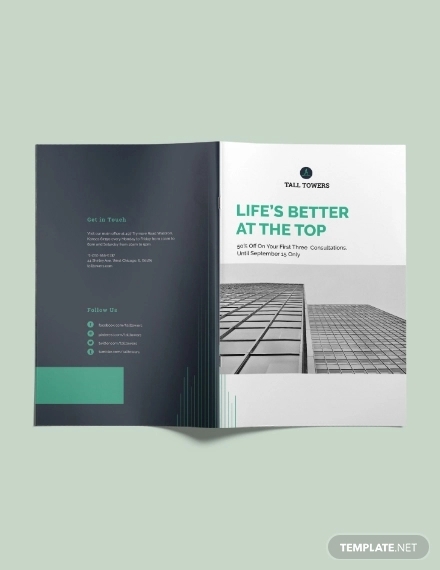 If you prefer bi-fold brochure templates, then you must not miss out from taking a look at this trendsetting minimalist template design. This smart color scheme and fully editable features will provide you all the support in creating a company brochure par excellence. 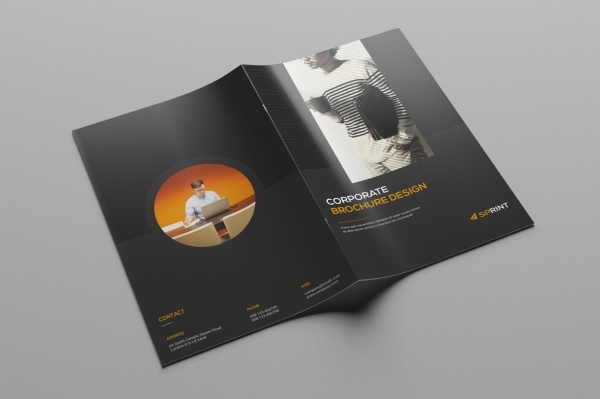 The brochure template design features a stylish black and yellow cover layout. The inside pages follow suit. The template is high-resolution and the size can be easily rescaled to different sizes. Make an impression on your potential clients in a big way. 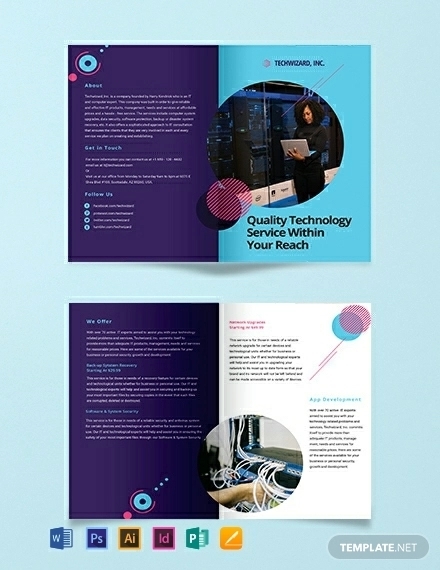 Pick this contemporary brochure template inch which you get 2-3 company profile design options. The package is an apt pick for company branding endeavors. 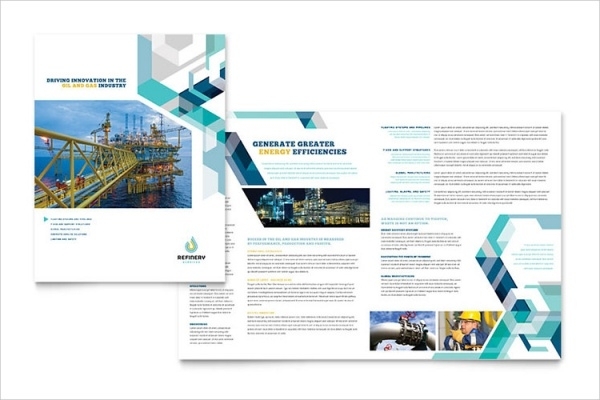 If yours is a company in the oil and gas sector, then this is the best company brochure template there is today. It’s an agency quality, graphic-ready, print-ready customizable design. 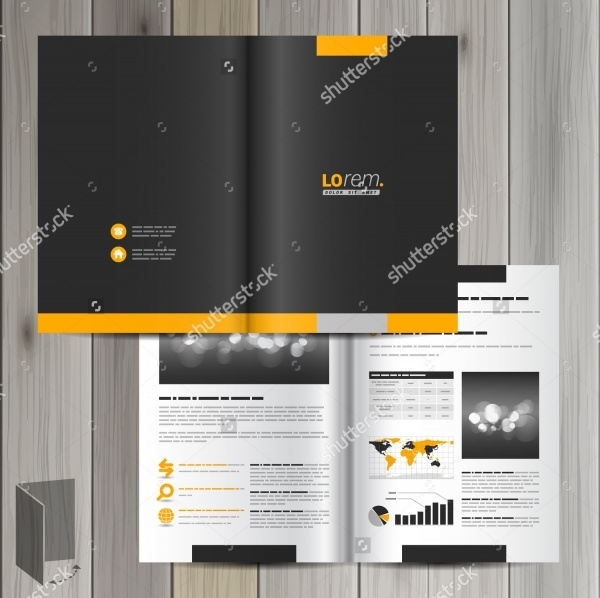 Give your company profile an edge over others in the market by compiling all of its relevant information in this creative and fully-customizable A4 size company brochure template which is 24 pages long. 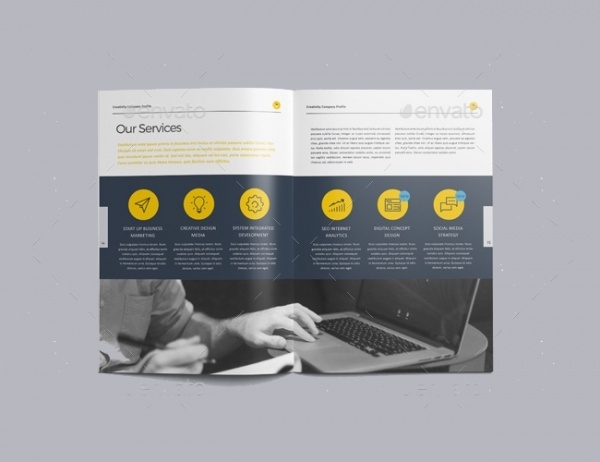 This example brochure template is fit for businesses in the energy sector. 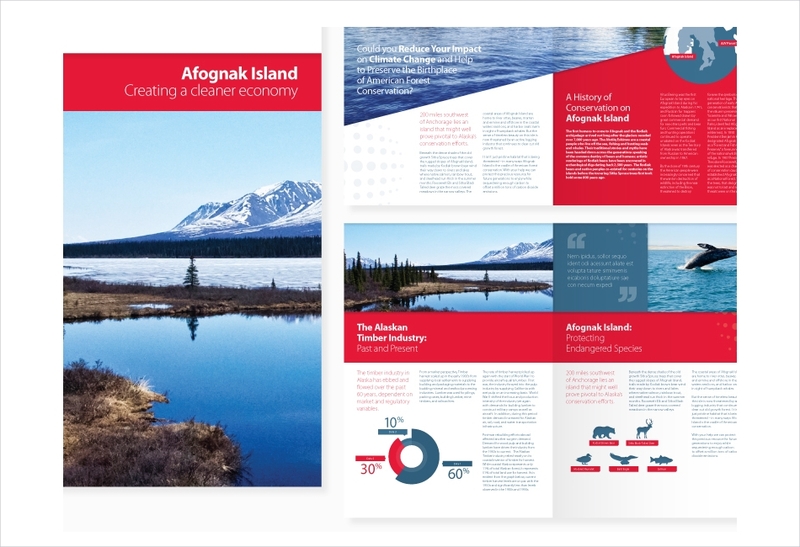 In the template you will find grid layout, info graphic, stats, you can easily work around with the color palette etc. 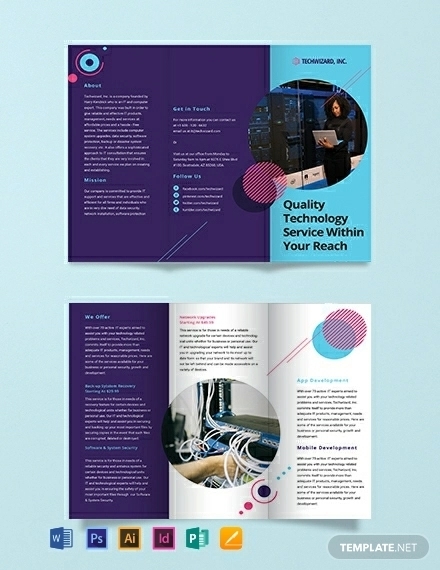 Taking cues from prevalent company brochure designs, this particular template was born. 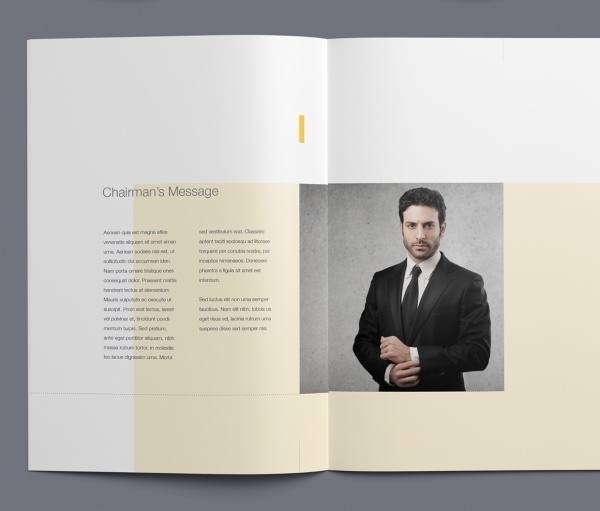 Stylish yet understated, this fully editable company brochure has got solid appearance and features backing it. 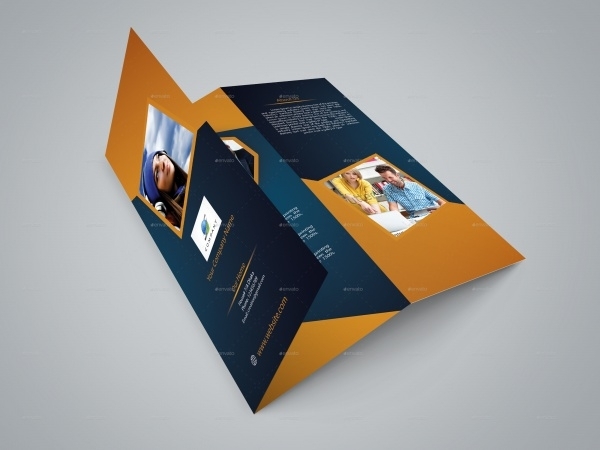 This an apt example company brochure design meant for the companies in the insurance sector. High-quality color-schemes, images and text can be easily modified to create company brochure of your choice. Loaded with business elements, shapes and pages, this particular template design is very universal, all thanks to its editorial layout. 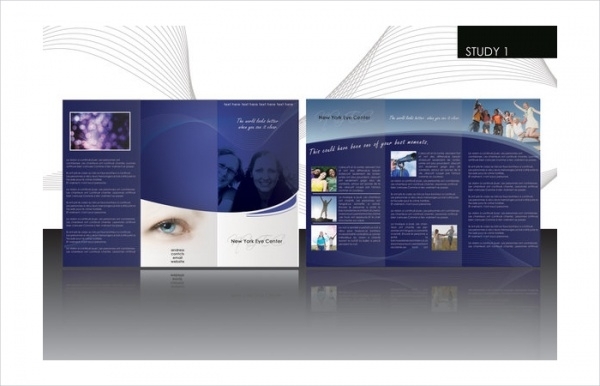 This A4 size design is 24 pages long, includes a set of images, Text and Background on different layers. Company brochures advertise and promote a company when there is no personnel to do the talking to the clients. Naturally important that company brochures need to be worthy or more than just a fleeting glance. Our selection of latest brochure designs caters to all company needs, ensuring that brochure represent corporate identity impeccably.